A few months ago Polymath Pictures embarked on an ambitious project in collaboration with Red Dog Film. Lancaster is a short film about the final mission of a bomber crew during World War II. From the English coast to the skies of war-torn Europe during WWII, ‘Lancaster’ tells the story of a young bomber crew as they fly a daring night raid over occupied France in the face of insurmountable odds. With machine gun fire and shells exploding all around them, the crew must remain undetected and focussed in the darkness as they approach their target, but for wireless operator Alfie Barnes memories of his past make the risk of being shot down all the greater. 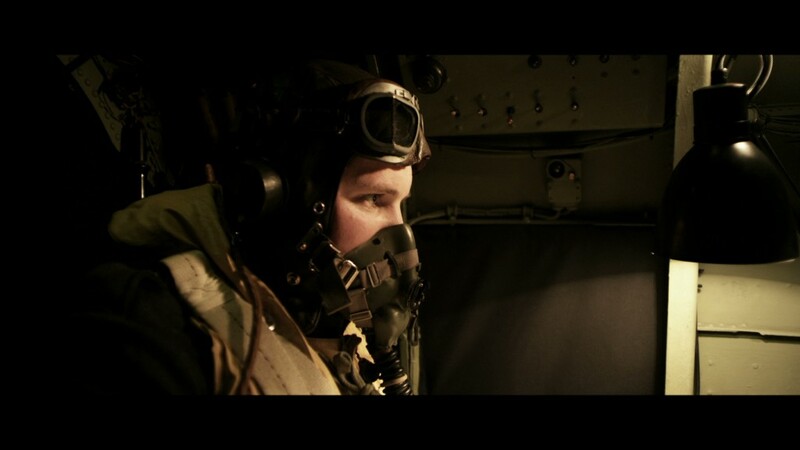 From award-winning director Philip Stevens and award-winning producer Tom Walsh, ‘Lancaster’ is a powerful and moving portrayal of the courage and sacrifices of the men who took to the air during the bombing campaigns of the Second World War. We’ve just launched the new film website so check it out and stay up to date on our Facebook page and on Twitter.